Last year my son Freddie was 2 years old. His sisters were 3 & 4. Having them so close together meant we were roughly aware of what a child should be doing at the age of two. There were only so many times I could put things down to him being a late developer. “His sisters talk for him”. “He’s just being lazy”. “He’ll catch up”. “He’s a typical boy”. Everyone had an opinion on why he wasn’t talking yet, on why he would be distant at times and why he wouldn’t interact like other children. Maybe they are right we thought. We’ll just keep an eye on him. This time next year he’ll catch up with his sisters. But deep down we knew there was something different about him, something unique. A trip to the Doctors led to him being referred to a paediatrician. 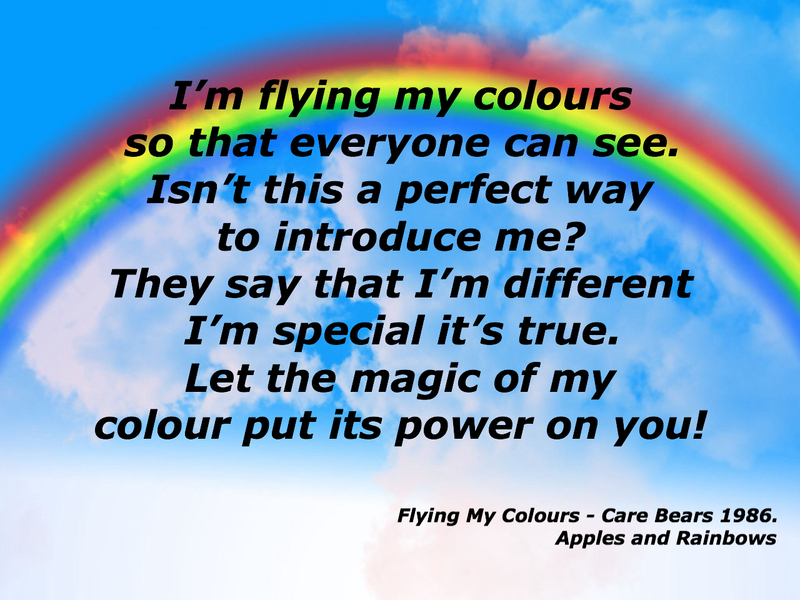 Knowing what I know now, I can see that the paediatrician recognised immediately that my son was on the spectrum. However, he was quite delicate with me in telling me so. “Does he always flap his hands like that?” “Does he always lead you to things by the hand like that?” “I’ll see him again in 6 months but I think he is on the autistic spectrum.” Unfortunately he didn’t really give me much more information. I left that appointment in a bit of a daze. Ok, so now I have a reason for Freddie’s behaviour. I know now why he doesn’t talk, why he flaps his hands excitedly, why he has no sense of danger, why he doesn’t play with his sisters or show any interest in the animals at the zoo, why he doesn’t look at things I point out to him, why he doesn’t point out things to me, the obsession with apples! But I still didn’t really understand about autism. I knew it was special needs and that he has a disability. This is an incredible amount to take in. The uncertainty of what the future may hold. Would he ever talk, will he ever be out of nappies, will he ever be able to live independently, will he ever be able to have a relationship, will he be bullied, will he be happy, did I cause this? (I didn’t). Will I be able to be the Mum he needs me to be. A million and one worries raced through my mind. Suddenly despite everything being the same, everything was different. I felt quite lost. At times like this, boy do you need your family and friends around you. My husband was great. I often hear of parents who struggle to accept the diagnosis. I am lucky to have a husband who takes everything in his stride. He would say with a cuddle “So what he’s autistic. So what! He’s still our boy.” We both work opposite shifts and are like ships that pass in the night. I need to talk about things and talk about things and talk about things. It’s how I deal with stuff. The majority of people were absolutely amazing and so supportive. I really learnt the meaning of family. I will never forget just how fantastic my parents, my best friend and even my work colleagues were at this time. It taught me a lot about the type of person \ friend \ daughter \ Mother\ I want to be. I submitted several ‘Red Flag – is your child autistic’ online surveys. Freddie has several of the above red flags and the surveys would all say the same. Seek professional help, which I had already done. I was just trying to learn more. I even watched you tube videos of autistic 2 year old boys. I came across some extreme therapies and basically just frightened myself. I ended up ringing this company who told me they would put a plan together with various therapists. This would cost around £30,000 a year!! Surely there must be help out there that didn’t require us to re-mortgage! The girl who answered put me at ease and invited me in for a chat immediately. I was unbelievably excited for this appointment. This girl – SHE KNEW! I had so much to ask her. We went in and she explained everything to us. She spoke about autism with a lot of enthusiasm and interest. She informed us of the support networks that existed. We left feeling so reassured. She gave us hope. Hope that everything was going to be just fine. Since that appointment a year ago, we now attend regular play and support sessions with her and the team. I have made several new friends with parents just like us. I have met the most beautiful children, all on the spectrum in their own unique and beautiful way. Freddie is in a nursery and has 1:1 assistance. We have a fantastic behavioural therapist who has made a massive difference in our lives. From her first visit she showed me a way to play with him to encourage speech, eye contact, taking turns etc. She just understood him immediately and understood how I was feeling. I count down the days to her visits. He attends another special needs nursery where the fantastic staff, some of whom are volunteers, work with him. They concentrate on teaching him social skills that do not come naturally to him. Whilst they work and play with him, I sit in the parents room next door putting the world to rights with the other Mums and Dads. This keeps me sane! We most certainly are not alone. I have come to terms with it. I still worry for his future but on the whole I try to be as positive as I can. He has his struggles but generally he is happy. It doesn’t bother him that he doesn’t talk. It doesn’t bother him that he isn’t like other 3 year old boys. I wonder when he is older, if he may read this and be amused at all the courses, therapists and research etc. We have started to visit special schools in the area and are so excited by what we have seen. That there are well equipped schools and teachers who are trained to teach him in a way he can understand. I felt so relieved walking around these schools. I even recognised half the pupils from our support groups. We are at the start of what I’m told is quite a frustrating system to get him a place. I have to get him a place. I will keep you posted. The hubby and I are looking forward to doing some courses together. We are about to start two autism awareness courses run by our local autistic society and the National Autistic Society. And hopefully a Makaton course! Rock and roll eh! My Nana died this year at nearly 101 years old. Nana herself had 3 children one after each other and often rang me just to let me know she understands. Before she died my Dad told her all about her great grandson’s disability. This amazing lady understood fully that Freddie sees the world differently and needs a little extra love and support. If a 100 year old lady can understand, surely anyone can. And so this is the purpose of this blog. To share what I am learning and raise awareness. The more people that understand, the better the world is for our family. I have a lot to learn yet, I hope we can all learn together. Alex, my godson is special. Thanks to brilliant school he’s happy. Learnt so much from him and his view of the world. Keep writing. Amazing blog Alex. Loved reading through it and gone straight onto Google to find out more. Can’t wait for the next installment. Brilliant parents you two are! Reading this has given me a timely reminder of the struggles that others face. More importantly though it has shown me that people can thrive in the face of adversity. I hope you and your hubby are as proud of yourselves as you clearly are of Freddie and your girls. What lucky children they are to be a part of your family. Looking forward to part 2 and beyond. Wow….. Where to start?! You really have found your niche! In opening up to the world you are not only helping others in similar situations but also raising awareness. You are truly wonderful loving parents, that is evident each time I hear one of you hilarious stories! Thanks for inviting me to read, I look forward to the next chapter! This is so lovely Alex, brought a little tear to my eye! Thanks for reading Nikki 😃 He loves coming to your sessions! Its generally quite hard to get him to go anywhere. Once I show him a pic of your play area he runs to the door!